Incredible Half Marathon walk in aid of Cancer Research alongside the awesome Cancer Ninjas team! This September I will be doing a half marathon’s in memory of Sharon, who sadly passed away from breast cancer in December 2016, as well as my Auntie Val, Grandad Bowker and all those others throughout the world who have also all been lost to, or suffering with this horrid disease. You can read more about Mike and Sharon’s story and why he started Cancer Ninjas here. Cancer is something which ends up touching everyone at some point in their lives – and breast cancer runs in my family, meaning that it’s something that my mum, sister and aunties/cousins keep on top of together! 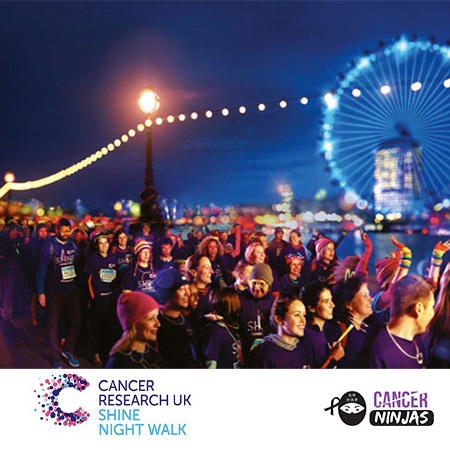 Anything you can do to help out with the amazing work that Cancer Ninjas do will be hugely appreciated – as you’ll probably know I very rarely ask for this kind of thing, so please do donate if you can, it’s an absolutely amazing cause! Unfortunately, I can’t make the main Shine walk on 22nd September, but will be doing my own half marathon walk alongside Mike and a couple of other Cancer Ninja heroes on the 15th instead! 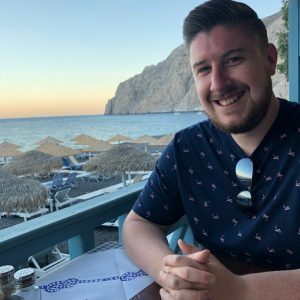 New to the Cancer Ninjas team, and really looking forward to helping out with an amazing cause alongside a fantastic team – bring on Shine 2018! Good Luck, as always, happy to double the donation if you run a mile! They’d be, as is everyone who knows you, filled with joy as you put a smile on everyone’s face - all the best! Good luck bro! Great cause. Good luck Matt, great effort! Well done, Matt. This is such a worthy cause.